Growing a business takes time, but for me it is not work. My business is not my life, merely a part of it. I understand how to live in joy and will not settle for less. 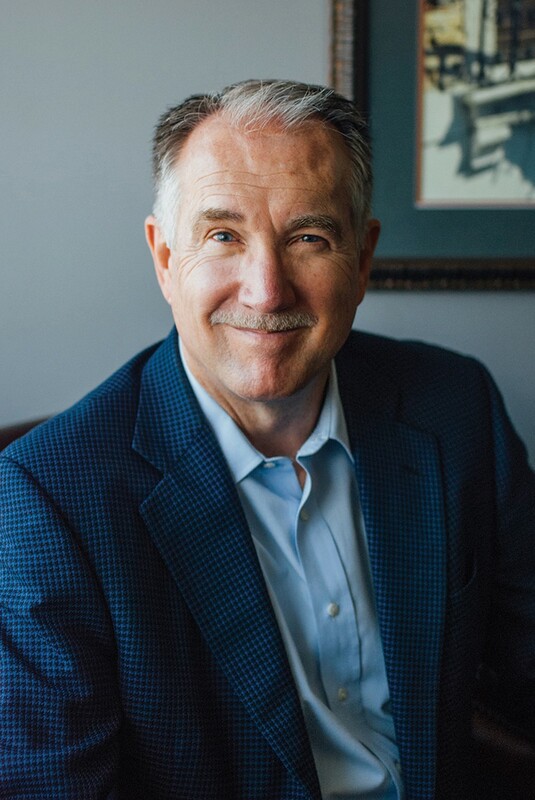 Don Scott is The Business Leader Coach, working with business owners, executives, high-net-worth families, and their adult children. For more than 35 years, Don has advised clients, first through his role as an Arthur Andersen partner and then as a leader of a major trust company headquartered in the U.S. Unique about him and his practice is the combination of his robust business and financial experience, combined with a master’s degree in psychology. He has worked with millionaires and billionaires, to transform their lives and everything they touch. I grew up poor, in a place where expectations were low. I didn’t enroll in college until I was 20, but then completed my four-year degree in two years flat. I was driven. My personal boundaries were tight and confining. I worked, struggled, succeeded, fell down, and got back up. I was profoundly gifted at doing things the hard way. If the school of hard knocks gave a diploma, mine would have reached from floor to ceiling. I discovered how to help others create that same magic in their lives. Copious amounts of wealth can do really weird things to families. Imagine being sued by your own children! When economic downturn or other unfortunate events arrive, people get intensely focused on, “What’s happening with my money?” Never mind that mom and dad created the wealth in the first place and had already given much of it to the next generation. In my experience, everyone is happy so long as the family financial nest egg is expanding generously. I worked with a client family who had done a lot of sophisticated estate planning. The primary objective (not the first one they would share with the IRS, of course) was to save estate taxes. The parents had shifted millions of dollars into several trusts for their children and grandchildren. The kids, in this case, were at odds with several of their dad’s decisions and actions and wanted to sue their father! I helped them “hit the pause button” by making them understand that aggressive legal action would do nothing more than completely destroy the family and further erode their fortune. In this case, cooler heads prevailed. Assets were sold. Wealth was preserved, and the family was eventually able to come back together. My definition of an entrepreneur: 30 years old, flat broke, and just been fired. In my fifties, with one kidin college and two in private schools, I did not fit the bill. Nonetheless, I began my blog“escaping moderate success” the day I left a seven-digit salary to create a more fulfilling life. I found myself the proud owner of a startup business with no clients, no revenue, and only passion and commitment to sustain me. Over the next many months, the first hint of success began to find its way to this little field of dreams! Successful business leaders, who wanted more in their lives, began to show up. Leadership is a way of being. It is more than words or actions. I seek to inspire through the way I show up for myself and others. And, by helping others get clear about who they are and how they want to walk through life. Dr. Leon Danco is recognized as the founding father of the field of family business consulting. I had the honor of being a disciple of sorts in the early ’90s, when Arthur Andersen acquired his practice. Dr. Danco’s business was exclusively focused on the soft issues around family business succession. One might imagine how that fit with a bunch of left brained CPAs. He used to say “You guys give away the good stuff trying to sell a technical solution.” A few of us understood his calling. My professional life changed in heartbeat as I came to realize that technical solutions are a dime a dozen. The business leader was alone, and needed someone to talk to. As a business leader coach, life and business are one and the same. Who I am, the changes I’ve made in my own life, and how I show up every day, are exactly what I bring to my clients. No. Growing a business takes time, but for me it is not work. My business is not my life, merely a part of it. I understand how to live in joy and will not settle for less. Be clear on who you are and where you are. Know your internal value. Not your value based on your performance. Get the rocks out of your backpack. Find and eliminate your “internal baggage”. Be clear on what you want. Creators can create. They only create their ridiculous workloads and schedules by default. Commit. You’ve already committed to your company, career, and financial success. Commit to creating the life you truly want. Right now! I get to be a part of business leaders changing their lives every single day. That is about as fulfilling as it gets! I would turn the world on its head. What if we could all see that we have been creating our futures by default? What if we learned how to create the future from the future? Taking with us only those parts of the past that really serve. What if we could get clear on what we truly want, and commit? CEOs and plumbers could change their worlds, and THE world at the same time!